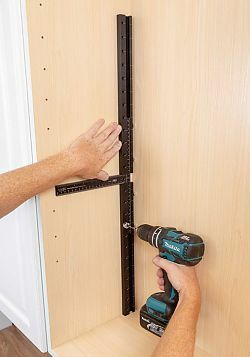 The True Position TP-1935 is a complete hardware drilling solution for cabinet handles up to 38” C-C, plus can be used as a jig for drilling System 32mm shelf pin holes. 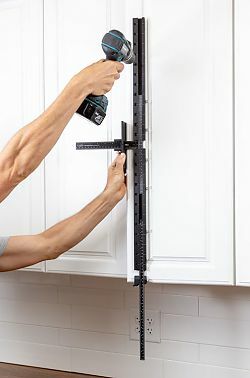 Install cabinet knobs and handles without spending tedious hours of measuring or making jigs – now you can have fast, accurate hardware installation in seconds, every time! 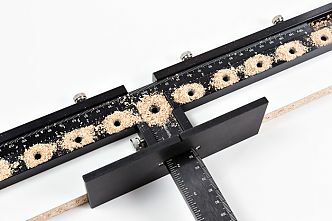 Adjust the sliding guides along the laser etched rulers (inch & mm) to precisely match your hardware location and measurements. 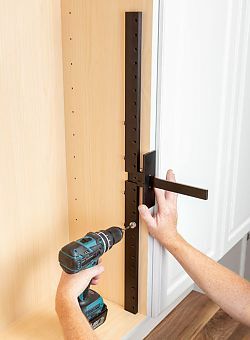 Tighten the thumbscrews and drill through the hardened bushings, no clamp needed! 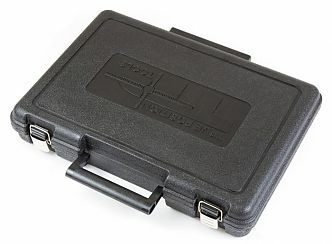 The reversible design allows you to flip the tool over to the next door without adjustment. 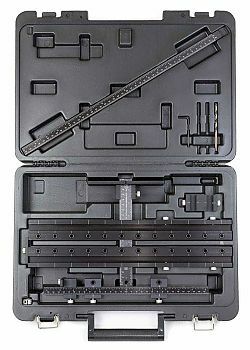 Includes additional guide for drawer fronts, and end stop for doors. 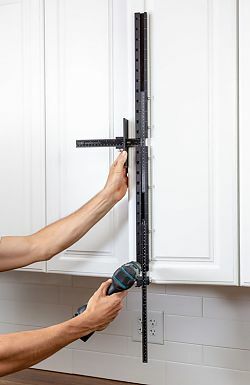 Install cabinet hardware up to 38" (960mm) centers. Doubles as a portable 32mm shelf pin jig. 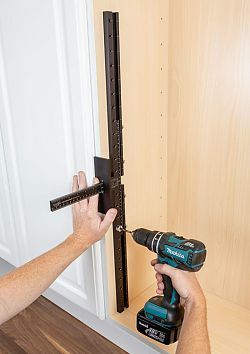 End stop centers on any width of drawer up to 42″ depth. 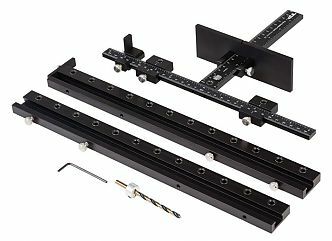 Set Includes: T-Square w/center bushing; 2ea; extension bars w/end stop; large stop; 2ea. 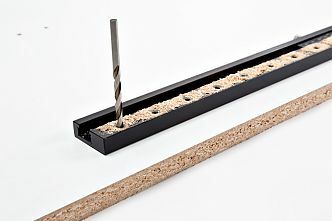 sliding drill guides; Extended Ruler Attachment w/ Double Bracket; sliding end stop; 5mm (3/16") drill bit; durable, molded carrying case.